To all the graduates of Batch 2013, congratulations on your graduation.MyKELVIN blog's owner gives you a salute for your success in your education. And to all, it's summer time! 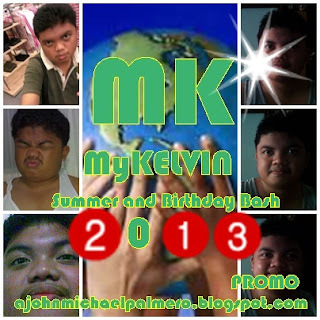 And MyKELVIN will organize again another promo and this time its going to be until my Birth Month. Now, here's a definite little bit of twist. Prizes will be announced 2 weeks before the end of my birth month which is on July 2013. 1.) This contest is open to all Filipinos and international blog readers all over the world. 2.) 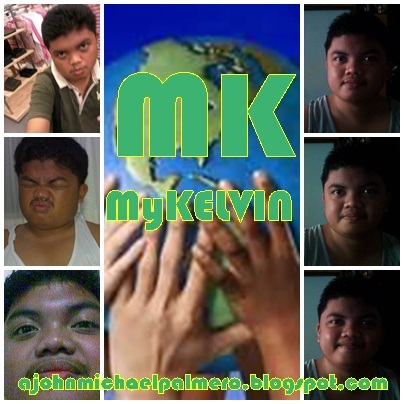 Like MyKELVIN page on Facebook. 3.) On the Facebook page, message us your best summer pose or your best birthday experience you had and include your name, age, location and caption that best describes your best summer pose or best birthday experience. 4.) Follow MyKelvin on Twitter. 1 best summer pose or best birthday experience is equivalent to 1 entry. If you posted your best summer pose that has beach shawls (any position - whether flying it in the air or wrapping it) or your beach trunks - additional 3 entries. If you include in your best birthday experience a birthday cake - additional 2 entries. Twitter entries are equivalent to 5 entries if you put the hashtag. Without the hashtag, you'll earn 2 entries only. So make sure that you make your entries clear. Submit your entries now. Deadline for the Submission of Entries is on July 25, 2013. More entries means better chances of being part of the winners. 20 winners will be announced on July 31, 2013. 1. The search is open to all teens and ladies aged 13-25 years old. 2. To qualify for the competition, all you need to do is to like our fan page first. 3. After liking the fan page, message us your name, age, location and your best photo and your reason why do you want to be one of the contenders for the competition. 4. After submitting the application, wait for the main administrator’s confirmation regarding your application. Registration starts March 20, 2013. Deadline for the Submission of Entries is on April 20, 2013.